"Agent Fisher returns with more skills, more engaging gameplay, and improved graphics in another Splinter Cell release endorsed by Tom Clancy." A stealth video game developed and published by Ubisoft, Splinter Cell: Chaos Theory is the third of the Splinter Cell series and another game that is endorsed by writer Tom Clancy. The Splinter Cell series has been a popular series since its start, and all of them have been endorsed by the same writer, Tom Clancy. 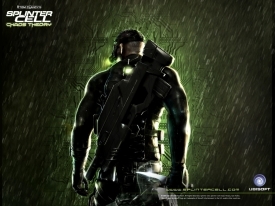 All of the Splinter Cell games have been known for its stealthy gameplay and fun mechanics. The game released in March of 2005 for most consoles and for Windows. 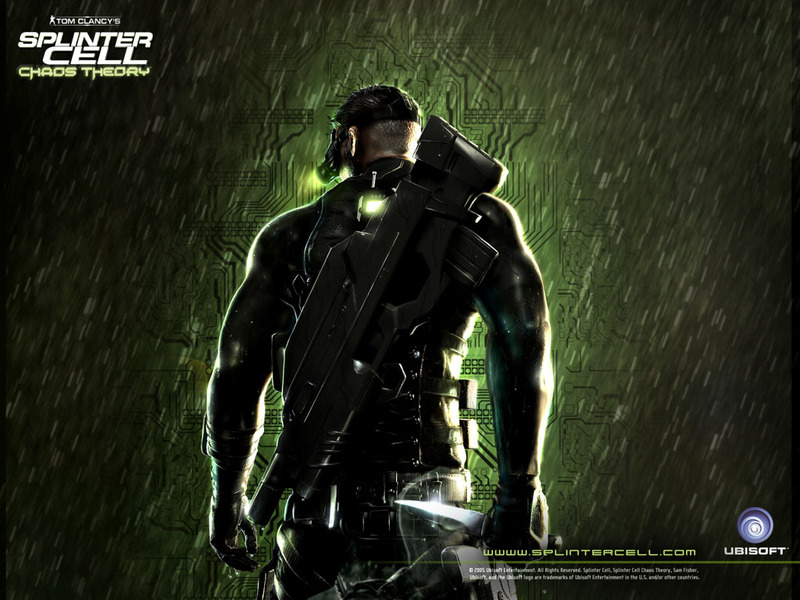 Splinter Cell: Chaos Theory follows the activities of Sam Fisher, an agent that is working for a covert ops branch with in the NSA called, "Third Echolon". Featuring refined stealth mechanics just like its previous games with in the series, this one is commonly considered the most popular of the series. This game features a number of improvements than in the old games including normal mapping, HDR lighting, and parallax mapping. These improvements really stood out to players of the game and really made Splinter Cell: Chaos Theory, graphically, one of the best games of its time. Like all of the Splinter Cell games, this release is known for its stealth mechanics, close quarters combats, weaponry, and engaging plot line. With improved AI detection, the NPCs with in the game are a lot smarter, which makes the game a lot harder and more realistic to play. With the improved close quarters combat in Splinter Cell: Chaos Theory, Fisher can use his knife in multiple ways, such as threatening an enemy during an interrogation, killing an enemy in close quarters combat, or piercing gas tanks on generators in order to aid in his stealth operations. Fisher can also now choose from one of three different equipment kits which includes Redding's recommended kit, an assault kit, and stealth kit. Redding's recommended kit gives Fisher an even better balance between ammunition and non lethal weapons. Assault provides more ammunition at the expense of non lethal weapons while the Stealth kit contains more non lethal weapons at the expense of brute force, lethal weapons, and spare magazines. The game takes place in June of 2007, where tensions are running high between China, Japan, South Korea, and North Korea. This is caused by Japan's formation of an Information Self Defense Force (I-SDF) with in the game. This is considered to be a violation of Article 9 of the post World War II Constitution, and blaming the I-SDF for information warfare attacks against their countries. We'll let you play the game to see what happens from there, but of course with all of Tom Clancy endorsed video games, you can count on it turning into an interesting story line with very engaging game play.